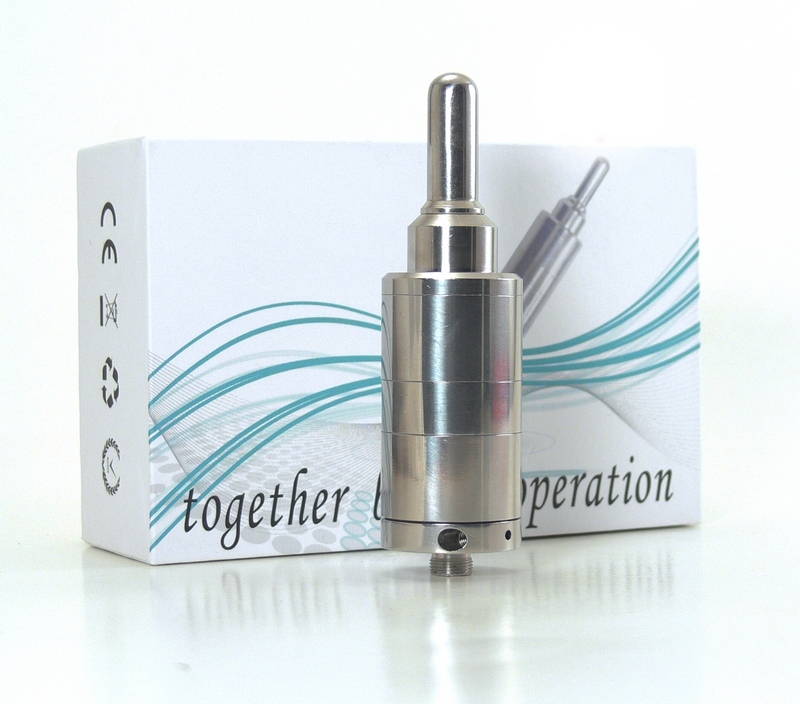 There are lots of Kayfun Lite (KFL) clones on the market and it’s somewhat difficult to pick one. 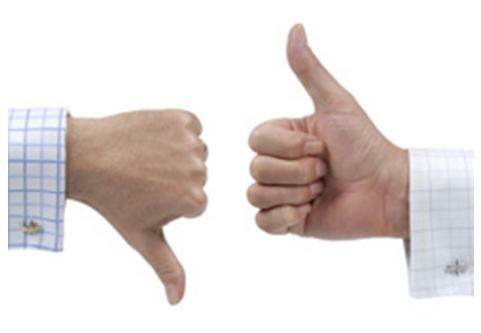 With the exception of price, there is almost no way to differentiate between the various choices. They are all referred to as Kayfun Lite clones and all look almost exactly the same, which is to say nearly identical to the original. 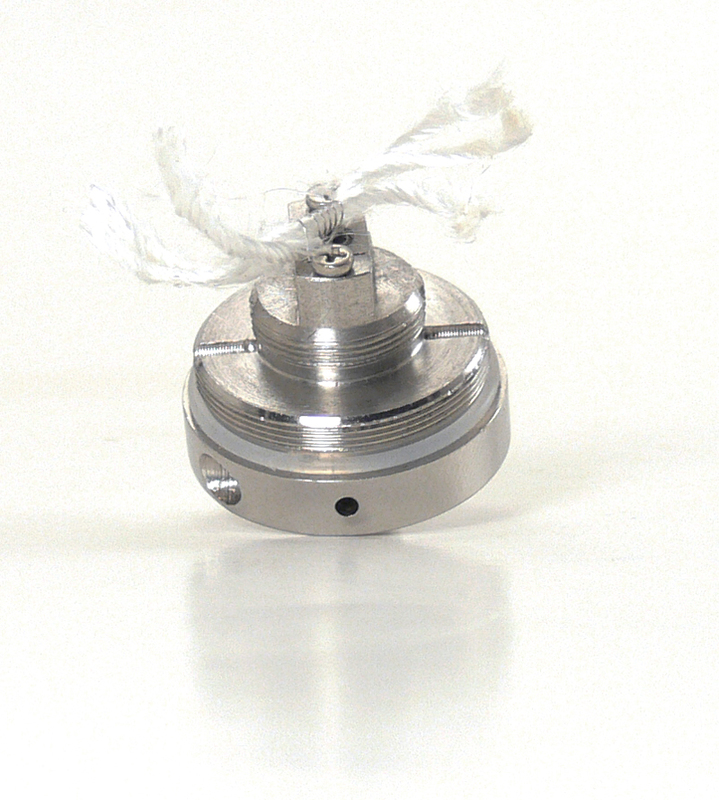 I have become a real fan of the KFL simply because it’s like an exceptionally dependable and easy to use bottom coil tank. I recently took a chance on a “MFS” Kayfun Lite Plus from My Freedom Smokes and it has proven to work just as well as any KFL I’ve tried. The manufacturing precision leaves a little to be desired, but for less than $40 it is still worth the money in my opinion. If you’re already familiar with the Kayfun design, you can skip this section, but for those who are not, here’s a quick design over view. 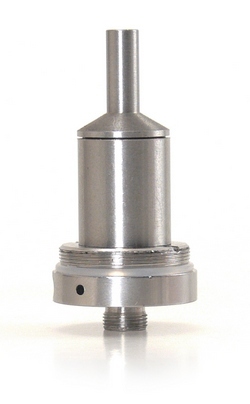 The Kayfun Lite Plus is made up of 7 main components, not including the coil/wick assembly and drip tip. The MFS Kayfun Lite Plus is pretty much an exact copy of a Kayfun Lite Plus in terms of design and function. One area where it does differ a little is in the air flow adjustment. The original version is adjusted via a screw on the base of the unit, whereas the MFS version has a recessed hex screw on the outside edge of the base next to the air hole. I’ve heard that this arrangement was added by Tobeco when manufacturing the unit, which may indicated that the MFS is a rebranded Tobeco. Frankly, I don’t have enough solid info to state that as fact – once again due to the vagaries of clone marketing. The MFS clone falls well short of the original in manufacturing precision. Everything works, but not without some rough threading and even a little leftover metal. My unit arrived with an actual burr of metal leftover from the thread cutting. It was easily removed, but the out-of-the box experience was off to a rough start. The second thing I noticed was that the middle ring hung up a little when screwing into the bottom half of the unit. Flipping it around made everything fit fine, but I was a little disappointed in that lack of precision in the threading. I certainly would not expect this from an authentic version. The rest of the components seem just a little cheaper as well, including a finish that doesn’t look quite as good as the brushed stainless steel of the original. But everything works well. I haven’t experienced any signs of impending failure and the finish seems to be holding up fine. Here is an area where the MFS Kayfun Lite Plus clone is nearly indistinguishable from the original. It’s easy to build on, simple to put together and vapes wonderfully. I have been using this one daily for the last couple of weeks and have had no leaks and a all nearly perfect vapes. The Kayfun has taken the place of clearomizers for most of my vaping due to its ease of use, consistency and flavor and the MFS version is no exception. 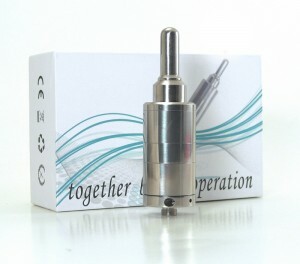 Simply fill it up and it vapes for a day or so with no adjustments needed, right up until the flavor stops coming. It vapes perfectly until the tank is completely empty. The unit is not ready to go right out of the box, however. First off, it must be thoroughly cleaned unless you like the flavor of machine oil. Quick flush with hot water followed up by a rinse with alcohol worked for me. 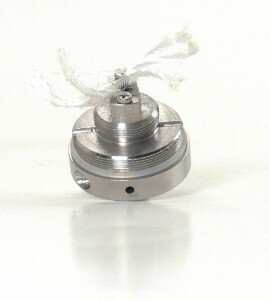 It comes without a coil installed, but there are three 3.2 ohm premade assemblies included in the package. Unfortunately, I found these premade coils to be pretty poor, most likely due to the silica wicks. A quick replacement with my own coil and cotton wicks had things working great. As I mentioned earlier, the liquid delivery is great. At least with my 80PG/20VG liquid, I have not had a single dry or burnt hit. Even when the tank is empty, the flavor just tapers off. The air flow adjustment is great and allows for the perfect amount of airflow to be set. The MFS Kayfun Lite Plus is cheap in price as well as quality, but those two together sometimes make for decent value. Machining detail and finish quality of some components are the clearest indicators that this is not a genuine Kayfun. In terms of performance, though, it’s a little harder to tell, and that’s why I think many of these clones are a satisfactory value. Sometimes you really do get what you pay for and this model performs well enough to be worth the $40.